Ribbon Cutting: July 8th at 5pm at New Masters Gallery in Carmel! « Grand Reopening Party on July 9th! POSTED ON 10 Jun 2016 | Events · What's New? Please join Bill Hill and staff in celebrating the Grand Reopening of New Masters Gallery. Last June, the gallery caught fire and underwent a devastating setback. However, with great excitement we are proud to announce that the renovation and remodel of the building is complete and we are now “home” in our original location – downtown Carmel-by-the-Sea on Dolores between Ocean and 7th Avenue. 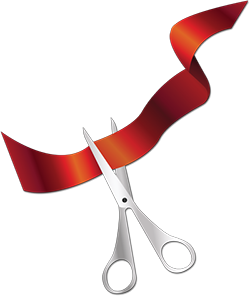 On July 8th, a year after the fire, we will host a ribbon cutting with the Carmel Chamber of Commerce to kick off a weekend of celebration. Come join us in celebrating this amazing new space displaying beautiful art. The gallery looks better than ever. We are looking forward to seeing you!